For those that attend work and college, it is important to make a good impression. One of the ways this can be achieved is by dressing smartly. Wearing smart clothes tells the world that you are serious, you work hard and will help you to be respected within your field. Many working professions require employees to wear a uniform, and these garments could be the perfect vehicles to promote your business. When they are out on the job, commuting to work or walking around your office building, they could be growing your brand awareness. There is a lot of variety for men’s and women’s clothing, we have plain aprons, as well as versions with buttons and piping in contrasting colours. We stock classic button down shirts, as well as shirts with herringbone stitched fabric. There are also non-iron shirts, so your customers never need worry about ironing their shirts for work again! Investing in promotional products for your employees will help your corporation to look professional, and will be more respected in the eyes of the customer. Take your advertising campaign to the next level by ordering promotional workwear from allbranded. High use items, these promotional products will be used daily, ensuring many brand impressions over the products life cycle. Wearing a uniform helps school children and work colleagues alike to feel more part of the team. Team spirit is an important part of the work dynamic, and wearing the same clothes helps to encourage the feeling of all being on the same level. A sense of belonging at work and in school is important, it promotes happiness and by extension, improves productivity. The promotional clothing in this category will easily and effectively spread awareness of your business. These customised items can be used across a wide range of working professions, giving you a wider advertising reach. A few of the professions that would benefit from these clothes include office workers, construction workers, chefs in restaurants and cafes, as well as a whole variety of other roles. Order the personalised workwear from allbranded, and see how easily your advertising message will travel. Ordering promotional non-iron shirts as uniform for your colleagues will save them time and effort, they’ll be thankful that they don’t have to spend that extra time in the morning ironing. The short and long length customised aprons in this collection have front pockets, which waiters and chefs will appreciate for storing notebooks and pens to take food orders with. The smart shirts we stock can be used as bespoke gifts for employees and business partners, your logo embroidered into the fabric will look premium, and be remembered by the wearer. Giving these giveaways will help strengthen the relationship between you and your clients , as well as promote your company. In the allbranded web shop there are types of workwear to suit any industry. There are shirts with boned collars, made from an almost equal mix of polyester and cotton. There’s bodycon for a more fitted look, we also have printed high visibility jackets , and non-iron shirt varieties, to ensure your customers never leave the house in a creased shirt. As well as shirts there are also aprons of many kinds, from the long line styles that go from the waist to the ankle, to the more classic full length that loops around the neck. These look especially premium by having your business design embroidered into the fabric. As uniform for colleagues or as thoughtful handouts for customers and partners, these items have many potential uses . 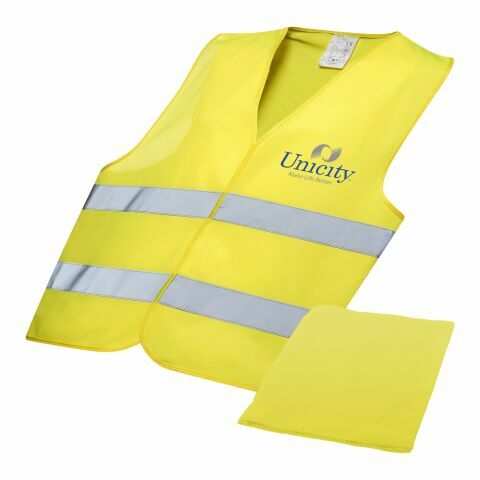 They can also be used as uniform for your employees, who will appreciate this smart, high quality clothing. There are many ways to customise the promotional clothing in this category. Customising the clothing will help to distinguish yourself from competitors, and make people remember your brand in a positive light. Once you have chosen your desired style, in your preferred colour, you can also have them personalised by printing or embroidering your corporate logo. If you have any queries about the design process, please don’t hesitate to give our friendly team a call.